Alita: Battle Angel, originally was a manga known as Battle Angel Alita*. Quite why they’ve gone with this change, I don’t know and it’s never been explained, so I can only guess that it’s when cinemagoers turn to Google for their answers, this movie title comes up above the manga. 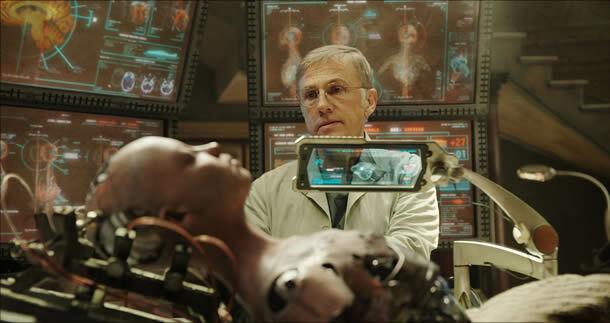 While out and about, and looking for parts on Stockport tip, cybernetics boffin Dr Dyson Ido (Christoph Waltz) chances upon the top half of a female android, who he then adds on a body, and in turning her into Alita (Rosa Salazar, with mahoosive eyes) – who has a robot body but a human brain, she becomes a mixture of Pinocchio and Robocop, since she’s like the latter but actually has a personality. She can’t remember her own name, but Alita will do for now, and Dyson has his reasons for naming her that way, which you’ll discover. Rosa Salazar as Alita, gearing up for a game of Rollerba… er… I mean, Motorball. Set in 2593, Alita: Battle Angel takes place 300 years after The Great Fall. 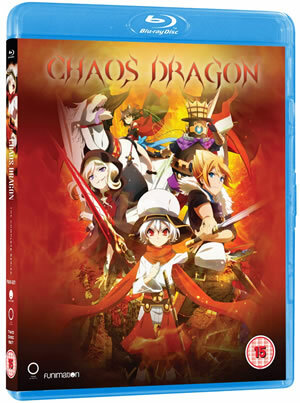 The world is a post-apocalyptic mess (as is always the case with films like this), but on the plus side, it’s also very diverse and multicultural, since everyone came to live in the Scrapyard and all got along, so problems like race issues and Liam Neeson have been done away with. While a body-repair guy by day – very handy, since in the future, the aforementioned war has left almost everyone with robot parts in place of human ones – Dyson is a Hunter Warrior by night. He seems to get by on just occasional naps, but that’s what can happen when you’re working two jobs to pay the bills. As for his nocturnal activity, Hunter Warriors kill only bad guys who have effectively been judged to be so without any sort of court procedure, so with my limited knowledge of this manga, it felt similar to Judge Dredd in which the big helmet can just strike someone down. Even though we’re in the age of the smartphone now, with all the information we need at our fingertips, it seems that in 2593, you can still only find out which bad robots are active and which are not, via terminals in the street with such huge screens that everyone will be able to see your business. 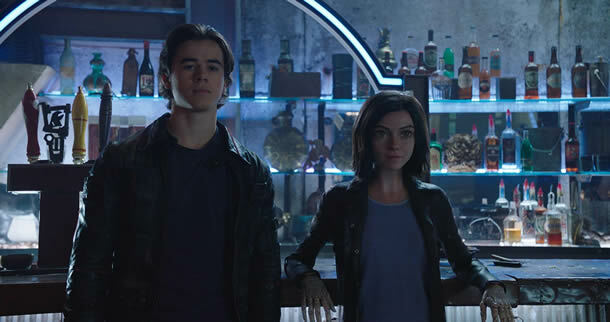 Elsewhere in the plot, someone is harvesting robot parts – taking them by force, which in theory should be good work for Dyson, while Hugo (Keean Johnson takes the boyfriend-type role) dreams of a better life by ascending to Zalem, the last city in the sky, where all the wealthy people go. For the rest of the cast, big bad guy Nova is played by an uncredited Edward Norton, Hunter Warrior McTeague is The Lawnmower Man‘s Jeff Fahey – although I thought at first they were trying to model him on the late Burt Reynolds in his older years, and there’s spare parts for Jennifer Connelly and Green Book‘s Mahershala Ali, both of whom are fine and I won’t spoil who they are and what they do in this review. Meanwhile, and fellow Hunter Warrior Zapan is as vain as they come, even though he’s played by The Transporter Refuelled‘s Ed Skrein, who has a face only a mother could love. Rosa Salazar is great as Alita, while everyone else makes reasonable support without particularly pushing the boat out. At one point, Alita offers her robot heart to Hugo, who’s a bit hard up for money, since he could sell that for a stack of cash and she could later have it replaced by a cheaper one. He refuses the grand gesture, but given how silly all of this is, I was just left wishing it would be accompanied by Hot Chocolate’s No.13 hit in 1984, I Gave You My Heart (Didn’t I). I watched this film in IMAX 3D, and I wanted to make a point of seeing this in 3D, particularly because it’s the first 3D film to actually be FILMED in 3D, and grace the multiplex screens, since 2017’s Transformers: The Last Knight, back in June of that year. I can pretty much always tell the difference, since while some people say that when a film is shot in 2D, and the 3D effect is applied in post-production, it’s all being done much better these days. However, I generally find that in a scene where you have some people in the foreground, mid-ground and background, the effect of their placing is like the old Paddington Bear cartoon from the ’70s where characters were simply just shuffled around either being in the foreground, mid-ground or background, and for a modern movie, it looks cheap. The only times in recent memory when I’ve seen a film that wasn’t shot in 3D and was converted afterwards, but not realised, are with The Walk, the Ghost In The Shell live action movie, and Valerian And The City Of A Thousand Planets, which like this, was a comic book turned into a live-action movie with a massive budget. Yes, Ghost… was also a manga, but its budget was $110m. Valeran… ran to $177.2m, while Alita: Battle Angel totals up to $200m. 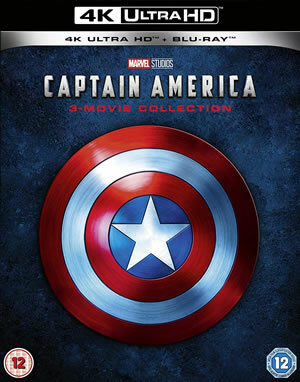 Now, a lot of people are turning away from 3D movies, and I believe it’s down to this ‘fake 3D’ effect – also adopted by superhero movies like those from Marvel and DC – which has been around for far too long, so the public are brought up to believe that that is how a 3D movie should look, and it usually looks crap, and so the 3D boom quickly turns to bust, even though it looks great when it’s done properly. This decline is also to the point where you can’t even buy a 3D TV brand new anymore. I currently have a Panasonic 50″ model which I bought in 2012. I wanted to buy the Panasonic TX65EX750B (65″ screen AND with 4K) when it was being discounted in the summer of 2018, but got completely dicked around by Go Digital Warehouse*, and then in 2018 and to date, there are no new 3D TVs announced. I don’t understand that when the 3D technology already exists, why not just keep it inside the TV spec?! It’s also only one extra button on the remote, and there’s plenty of room! 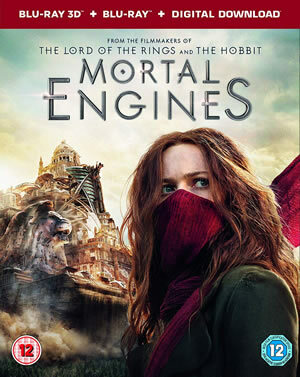 Jennifer Connelly is the most incredible robo… Pardon? She’s HUMAN?! 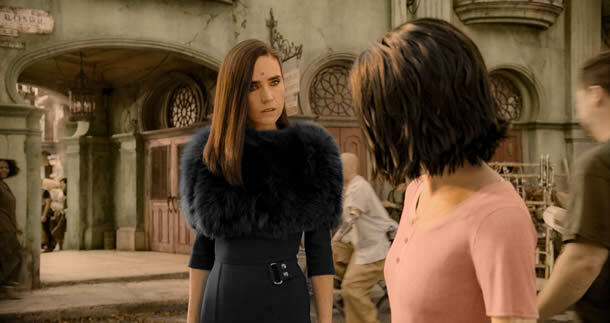 The film has seemingly random aspect ratio changes as it’s partly in 2.39:1 (which you’ll see in conventional, non-IMAX cinemas) but opens up to the digital IMAX ratio of 1.90:1 to show more of the scene. This isn’t just the camera filming a bit more of the scene so that it’ll look better on a TV in that format than if they were to crop the 2.39:1 image to 16:9, but given all the CGI work that has gone into this, it really does look phenomenal and, to that extent, the budget has been well spent. But as I say, the changing back and forth does seem quite random. It’s in 1.90:1 for almost 70% of the time, I estimated, and while at first it’s used mostly for the bright outdoor scenes, as well as the Motorball games (basically, Rollerball) and other fights, at other times, it chops back and forth with no reason, even mid-scene. Not quite to the extent of Michael Bay’s Transformers: The Last Knight, in which you could clearly tell he was doing it for a laugh, but enough to see that you just wish they’d stick with 1.90:1 throughout. When this eventually comes to home formats, I hope they retain this ratio, although it’s fairly rare that that happens. It usually ends up being a straight 2.39:1, which would be a shame. As for the budget, though, it’s a reported $200m. 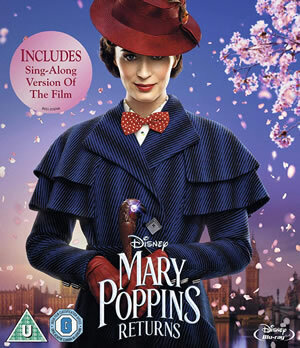 Now, given that this was originally planned to come out in the summer of 2018 and then was moved to Christmas last year, and then being pushed into the January/February dead zone where all non-Oscar/BAFTA contenders go to die… and given that the plot is a bit mad… as we reach the end of the film, it sets things up for a sequel which, I feel, we will never see. 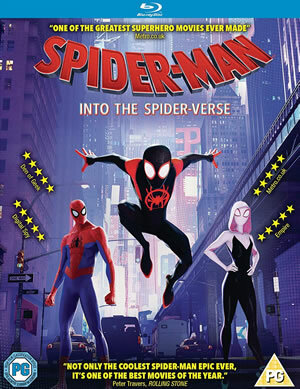 All that said, DO go and see this in IMAX 3D and on the biggest screen you can find, as it’s worth the entry for the visuals alone, as well as the fact it could possibly be the only 3D movie in 2019 to actually be made that way. Any sort of good guy/bad guy interaction is fairly generic, as is the boy/girl stuff between Alita and Hugo. The mechanics (no pun intended) of any of this is very ‘seen it all before’. Mahershala Ali as Vector. What’s his vector, Victor? 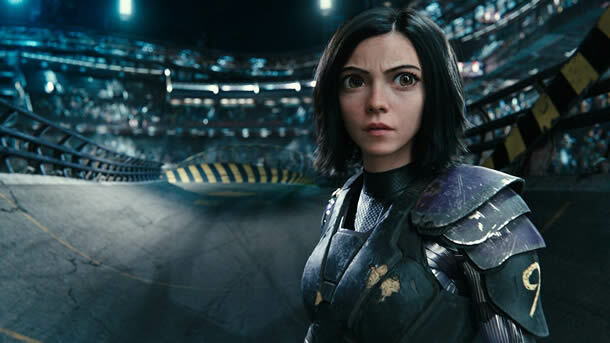 Alita: Battle Angel does get very dark for a 12-certificate at some times, although aside from the obligatory f-word to ensure a 12-cert (or PG-13 in the US, since a PG for a non-kids movie is considered box-office death over there), it’s mostly a stack of heavy, and graphic, fighting between robots who want to shut the other one down permanently. Some violence is inflicted upon humans, but while that could tipple it over to a 15-cert if that had been more graphic, I think you’d kill off the potential of the audience, so the certificate is fine and it’s just best not seen by very young children. That said, I went to see this at a near-midnight showing on a Saturday night and as I arrived, the place was empty. Around 7 or 8 others came along, even up to around 25 minutes after the film began!, but that leads on to my thoughts about the budget which I’ll expand upon later. One character has their body split into all the different parts (eyes, brain, etc) and kept inside a cabinet, all while continuing to function alive. It was only briefly seen, but that reminded me of a particular horror film where a scene ended with a victim’s body parts all taken out and put into individual jars, the camera slowly zooming in and lingering on the eyes. The movie was 1973’s The Vault of Horror, as five men meet up in a strange place and have nothing to do but discuss how each of them died, and this scene took place in the second segment of the film. It also stars Doctor Who‘s Tom Baker in the fifth and final segment and I do heartily recommend it. That film was an X-certificate at the time. Now, it would be a 15-cert. And now a point for anyone who has finished watching a film and is getting ready to leave. Don’t do what the two morons did in front of me. First the lad stood up, looked around and then eventually put his coat on, then stood around some more. Soon after he stood up, his girlfriend left her seat and started fannying around in her bag. It felt like it was taking ages and, in reality, probably took around 2-3 minutes, but if you’re someone like me who likes to watch the end credits (even when they had nothing out of the ordinary to them, like with these, which were just white text on a black background), you don’t want these two dicks standing in your way. I was tempted to say something, as I’ve come across this once or twice before, but I could tell this pair either wouldn’t understand, or would just respond with abuse, so when the lad occasionally looked at me, I stared right back into his eyes. 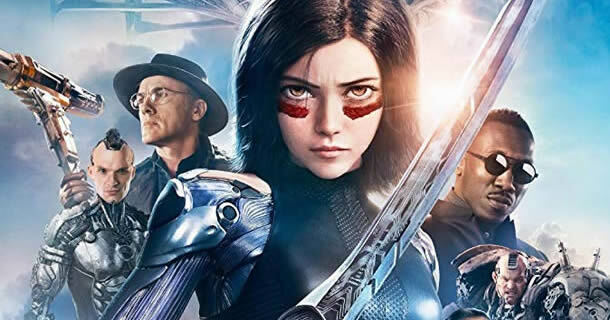 Alita: Battle Angel is out now in cinemas, and is available to pre-order on Blu-ray, 4K & 3D Blu-ray combo and DVD. Available now is the CD soundtrack, Vinyl soundtrack, the Alita: Battle Angel – The Art and Making of the Movie Hardback book and the Hardcover Battle Angel Alita Deluxe Complete Series Box Set.